Airs every Thursday at 11 am CST. Click below to access archive episodes. 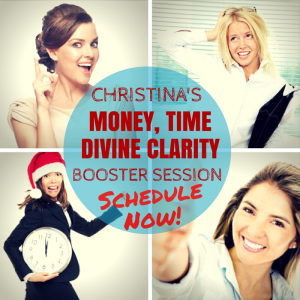 Schedule your free Money, Time, Divine Clarity Booster Session with Christina. Quotes, memes, links relevant to every Christian entrepreneur’s journey—all these in our Facebook fan page. Join our community of like-minded Christian business owners who want to have time, relationship, and money mastery. A monthly, year-long 30-minute webinar that tackles everything a Christian entrepreneur should know—tactics, tips, tools—to help you in your journey as a Christian entrepreneur. Attend live or access the replays. Are you a Christian entrepreneur needing guidance to launch or grow your business or ministry? Do you have more questions than money? 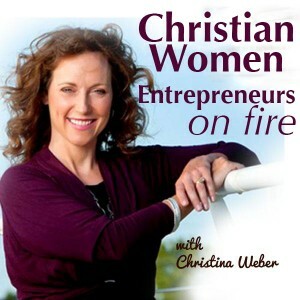 Check out Christina’s Christian Women in Business Course for only $10/month. Follow me on Twitter!